If Liberalism had a Prophet, it would be the classical Libertarian philosopher, John Locke. He is credited with giving form to the enlightenment ideas pervading europe, and collecting them, nay coalescing them into a formal system of thought that was called ‘Libertarianism’, which would later be called Liberalism (known euphemistically today as ‘freedom’, or ‘liberty’). 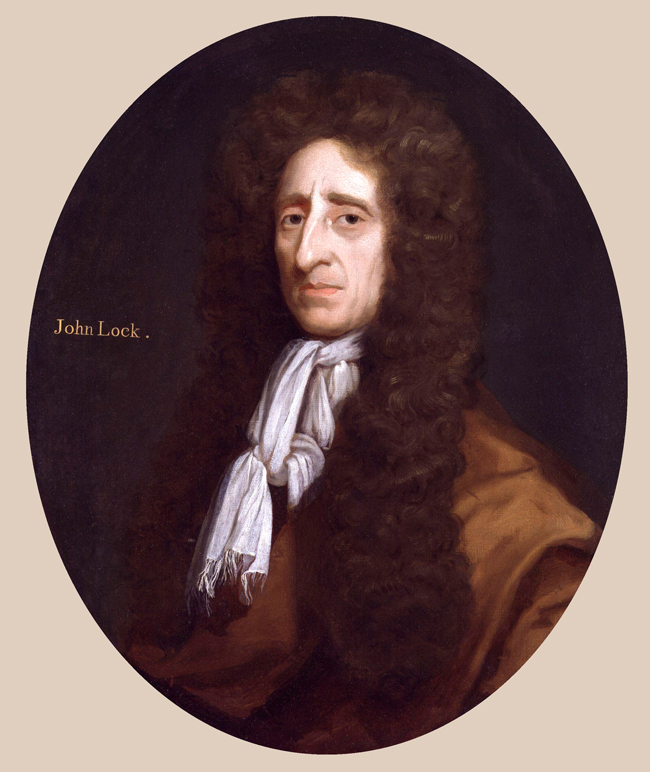 In fact, I would dare say John Locke is Liberalism’s foundational lawgiver, who revealed what he thought was human ‘natural law’, which then helped lead the Western nations into the ‘promised land’ of life, liberty and the “possession of outward things, such as money, lands, houses, furniture, and the like”. Today, Liberals greatly revere John Locke for the pivotal and central role his works played in systematically formulating the ideology of Liberalism, and his justification of a separation of church and state, positing a set of ‘universal’ set of human rights and values for a new human society. One of his famous writings, A Letter Concerning Toleration, is held as a seminal text for the alleged Liberal value of toleration. However, what most people don’t know, is in the very same hallowed documents written by Locke, which Liberalism praises so fiercely, lies a dark and terrible secret that Liberals would find horrifying. Namely, John Locke negates the universality of Liberal values by affirming that THEOCRACY is applicable by other religions – just not for [Protestant] Christians. He then discusses how a Jewish theocracy is justified to rule with religious law – including the law punishing apostates. John then argues that apostates ought to be killed under a Jewish Mosaic state. 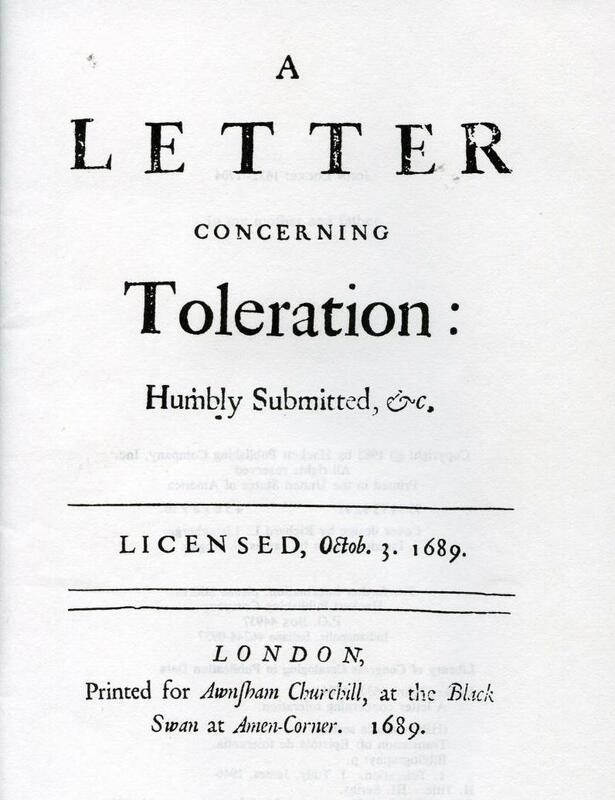 And lastly, John Locke argues in his ‘letter concerning toleration’ that while different [protestant] sects of Christians should be tolerates, there is justification for a fundamental intolerance against Atheists and Muslims. The case of idolaters, in respect of the Jewish commonwealth [i.e. the Kingdom of Ancient Israel], falls under a double consideration. The first is of those who, being initiated in the Mosaical rites, and made citizens of that commonwealth, did afterwards apostatise from the worship of the God of Israel. These were proceeded against as traitors and rebels, guilty of no less than high treason. For the commonwealth of the Jews, different in that from all others, was an absolute theocracy; nor was there, or could there be, any difference between that commonwealth and the Church [i.e. the Jewish religion]. The laws established there concerning the worship of One Invisible Deity were the civil laws of that people and a part of their political government, in which God Himself was the legislator. Now, if any one can shew me where there is a commonwealth at this time, constituted upon that foundation, I will acknowledge that the ecclesiastical laws do there unavoidably become a part of the civil, and that the subjects of that government both may and ought to be kept in strict conformity with that Church by the civil power. But it may be urged farther that, by the law of Moses, idolaters were to be rooted out. True, indeed, by the law of Moses; but that is not obligatory to us Christians. Nobody pretends that everything generally enjoined by the law of Moses ought to be practised by Christians; but there is nothing more frivolous than that common distinction of moral, judicial, and ceremonial law, which men ordinarily make use of. For no positive law whatsoever can oblige any people but those to whom it is given. “Hear, O Israel,” sufficiently restrains the obligations of the law of Moses only to that people. And this consideration alone is answer enough unto those that urge the authority of the law of Moses for the inflicting of capital punishment upon idolaters. But, however, I will examine this argument a little more particularly. That Church [i.e. religion] can have no right to be tolerated by the magistrate [government] which is constituted upon such a bottom [i.e. foundation] that all those who enter into it do thereby ipso facto deliver themselves up to the protection and service of another prince [i.e. a foreign ruler]…It is ridiculous for any one to profess himself to be a Mahometan [i.e. Muslim] only in his religion, but in everything else a faithful subject to a Christian magistrate [government], whilst at the same time he acknowledges himself bound to yield blind obedience to the Mufti of Constantinople, who himself is entirely obedient to the Ottoman Emperor [i.e. Caliph] and frames the feigned oracles [i.e. commandments] of that religion according to his pleasure. Atheists only became tolerated with the decline on Christianity in Europe, and the rise of Atheism and secular morality as an inevitable result of the secular and materialist trajectory of Liberalism. However, it seems that the intolerance against Islam and the mistrust of Muslims seems to be an age old problem with Liberalism. A problem as palpable today, as it was in 1689. Just as with your piece on free will, you again attack an outdated stance on liberalism which many modern day liberals have refuted themselves. Have you not read about Jefferson or Adams??? You also seem to think that the West is full of liberal societies… According to all definitions it is not. A liberal society would not have gone to war in Iraq when the majority of its own people were against it. A liberal society would allow the criticism of homosexual rights as just another voice in the marketplace of ideas. The famous thinker Voltaire said “I detest what you say but defend to the death your right to say it”. This statement is not followed by any of the Western countries as there are things which cannot be criticised in these societies. Calling the West “liberal” because it says it is liberal, is like calling Saudi an “Islamic” state because it says it is Islamic. With regards to Locke’s racism in particular, this type of categorisation is not something which is specific only to the West. Umar (RA) instituted a system through which Arabs were elevated over non-Arabs. He is recorded as having regretted this in his final years (Tarikh Al-Tabari vol 10, also available in English). Later on during the Umayyads, Persian converts to Islam were seen as second class citizens thus perpetuating this racial hierarchy. I am not trying to justify Locke’s racism through this example, I am simply stating that one should be careful when taking snippets out of a long history of development and then using them to criticise something. You can be secular without being an atheist…. Both Ibn Rushd and Ibn Khaldun subscribed to early secular principles. In fact the man who coined the term “secularism”, George Holyoake, whilst an Atheist himself, explicitly said secularism should be considered “apart from Christianity and Atheism”. Secularism has only recently become hijacked by atheists like Dawkins, Harris and their ilk. Again, my email is below if you wish to discuss in more detail.